The legend lives on. 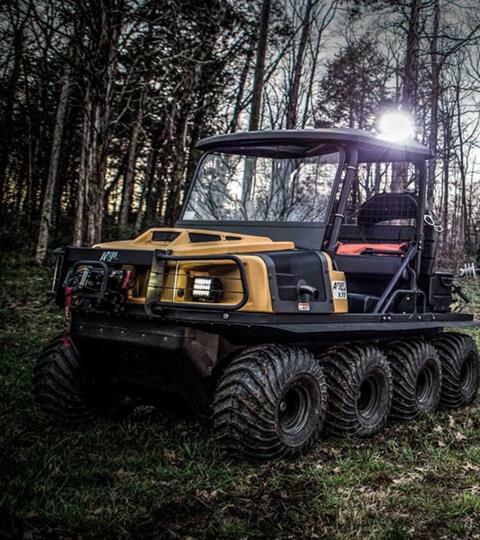 The approachable Frontier Series continues to be ARGO’s price-leader amphibious six- and eight-wheelers. 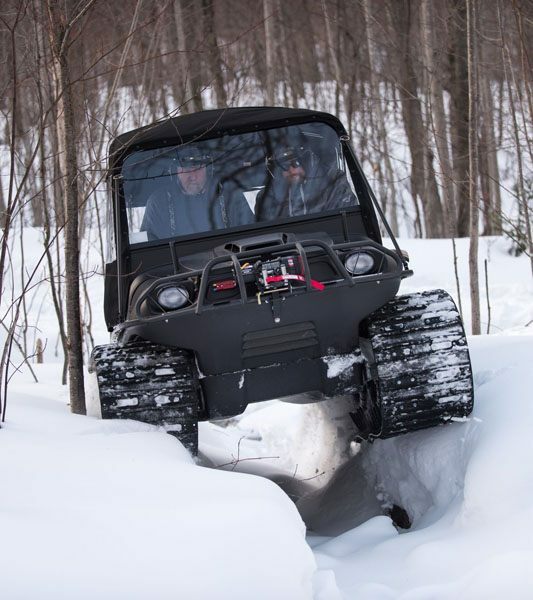 With a 23HP V-Twin EFI Fan Cooled engine, the Frontier 700 gives you the extra power, versatility and fun you’d expect from an ARGO — all at a value that’s second to none. Now take your love for the great outdoors and go explore new places off the grid. ENGINES: High performance 4-cycle, Twin cylinder, OHV, low-vibration engines deliver clean, dependable power for your Frontier in all seasons. Available 18HP-26HP Twin Cylinder Fan Cooled Engines. CLASSIC TRANSMISSION: The Classic transmission operates like a mechanical skid steer that gives it incredible maneuverability. Our least complex design, in order to provide vehicle steering, braking force is applied directly to the output of the appropriate side of the transmission based on the operator steering input. In both high and low range, the Classic Transmission provides a zero-radius turns to get you in and around extreme terrain. Available in Classic High Torque or Standard. 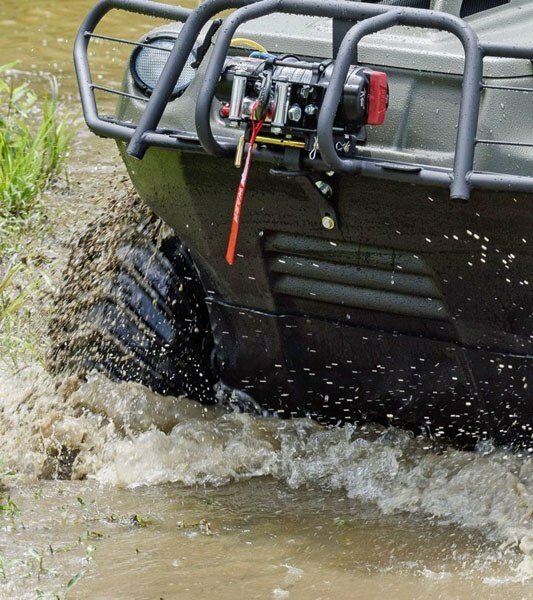 RIMS & TIRES: Steel Offset Rims with low-pressure 24” tires are custom engineered with a paddle design for amphibious propulsion through water and optimized traction on the most extreme off-road terrain.